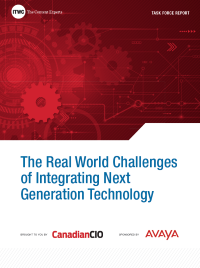 ITWC along with Avaya have conducted a peer-based research report outlining the impact of key developments on real- world practitioners. Download this report to learn more. Companies intending to not only meet the needs of today but be prepared for future growth must integrate and understand the latest developments in next generational technology, not only in a theoretical sense, but in real-world applications.